Outstanding on the field and out of it, the name Cristiano Ronaldo is always bound to make heads turn. Like all great athletes, Cristiano Ronaldo loves to win and hates to lose. 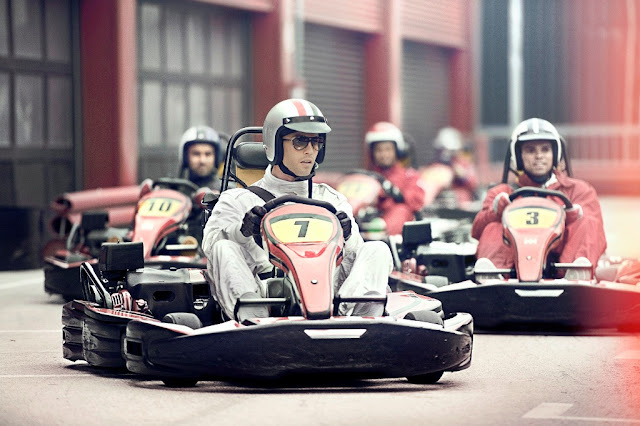 And when he wins, he prefers to do it at speed – explosive speed. Not only is pace one of the hallmarks of Cristiano’s game, it also defines the bold, distinctive spirit of the new CR7 Collection. 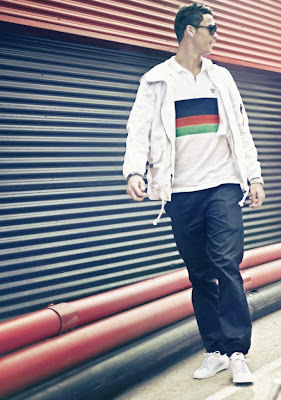 Design inspiration comes from Cristiano’s love for all things fast. The collection includes the new colorway of the CR Mercurial Vapor IX boot, performance training items and a variety of polos and tees. Each element is aesthetically inspired by velocity in sport. 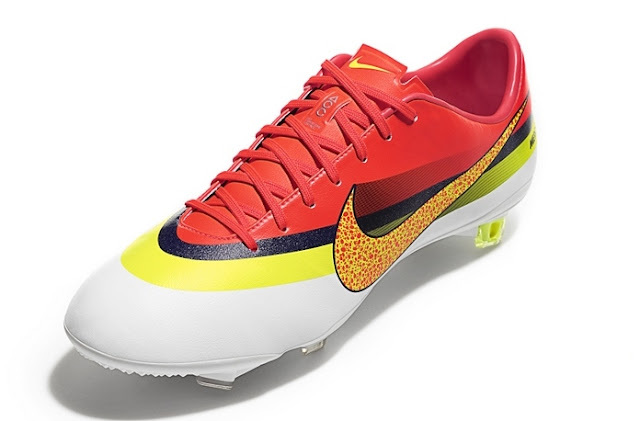 The signature CR Mercurial Vapor IX boot has been reworked with this season’s version - a fusion of white, neon orange, with a neon yellow and orange safari print inspired by the safari print that was first seen on a Cristiano Ronaldo product in 2010 on the Mercurial Vapor Superfly II. Beyond its striking design, the boot features an engineered upper that enchances support and touch allowing Ronaldo to perform at high levels of speed and skill. A leather-like finish on the upper, preferred by the athlete, and Nike’s innovative All Conditions Control (ACC) technology further aids his performance; the special treatment now used on all Nike boots ensures a consistent touch whether playing in wet or dry conditions weather. Horizontal black and neon yellow lines link the shoe to the collection’s overarching inspiration of speed. The “love to win, hate to lose” logo on the heel is a nod to Ronaldo’s inspiration as he explodes past his opponents towards goal. This same vibrant color combination classifies the CR7 Mercurial Lite shin guards, CR7 Prestige ball and CR7 Cheyenne backpack, while additional training items appear in monochrome. 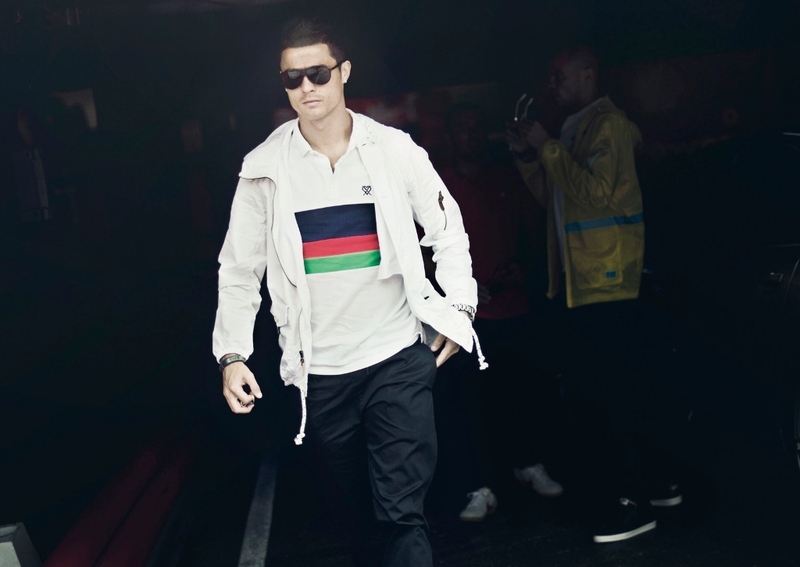 The speed inspiration is also seen in the lifestyle items in the collection, particularly with the CR7 Pique Polo and CR7 V-neck T-shirt. It is represented in the flashes of green, blue, red and white that run across the body. The Graphic Top for training opts for green and cream stripes combined with white shorts. The apparel pieces are constructed of premium materials and carry the CR7 trademark “love to win, hate to lose” heart-with-cross logo. 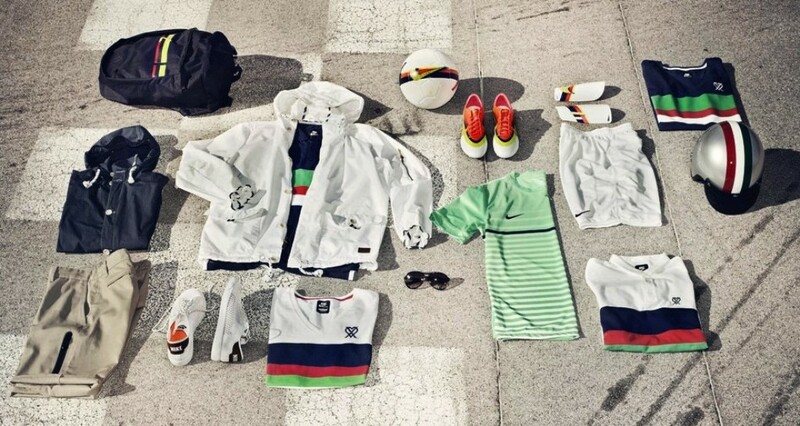 The white button-down Saturday Jacket with drawstring hem and front patch pockets and vintage-inspired Nike Tennis Classic, Cristiano’s favorite sneaker, complete the summer range. 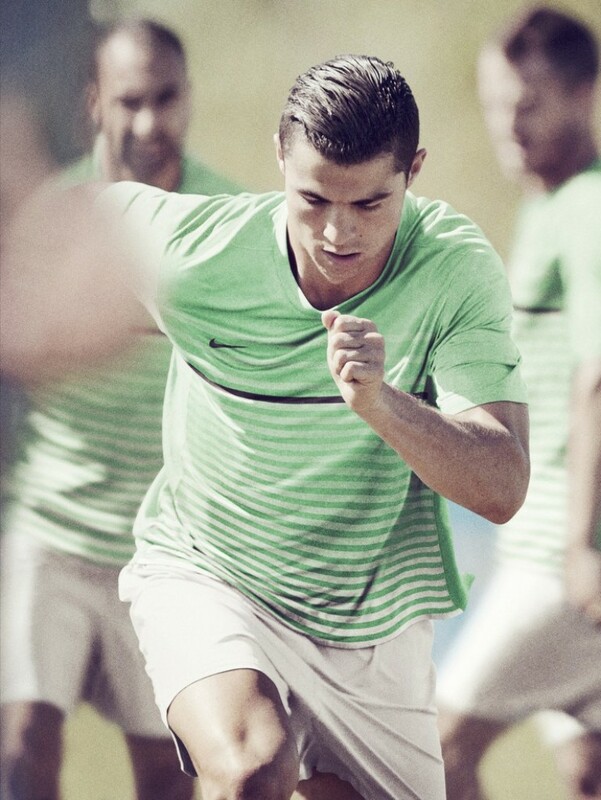 The CR7 Collection will be available all Nike retail stores from 11th April 2013.